Who could resist the the ripe (and some not so ripe) fruit growing so temptingly along the banks of the River Nene? 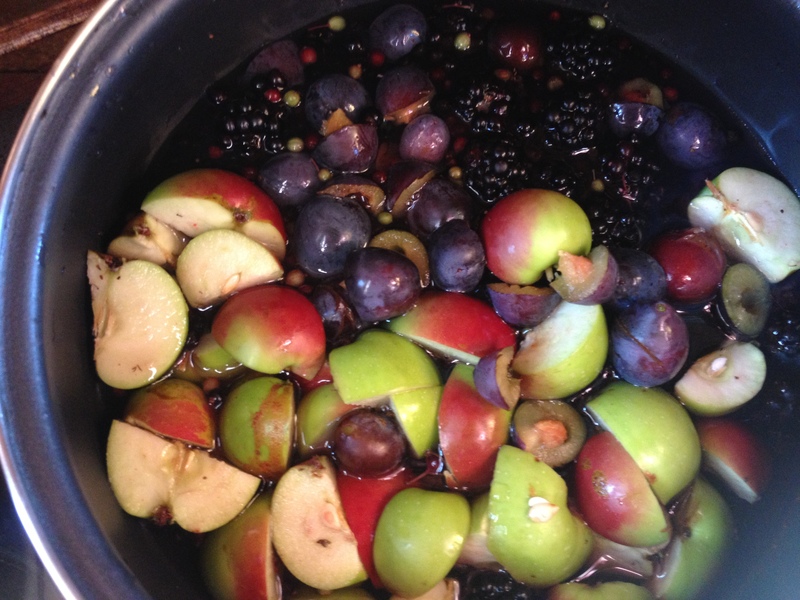 Elderberries, sloes, blackberries and small apples. 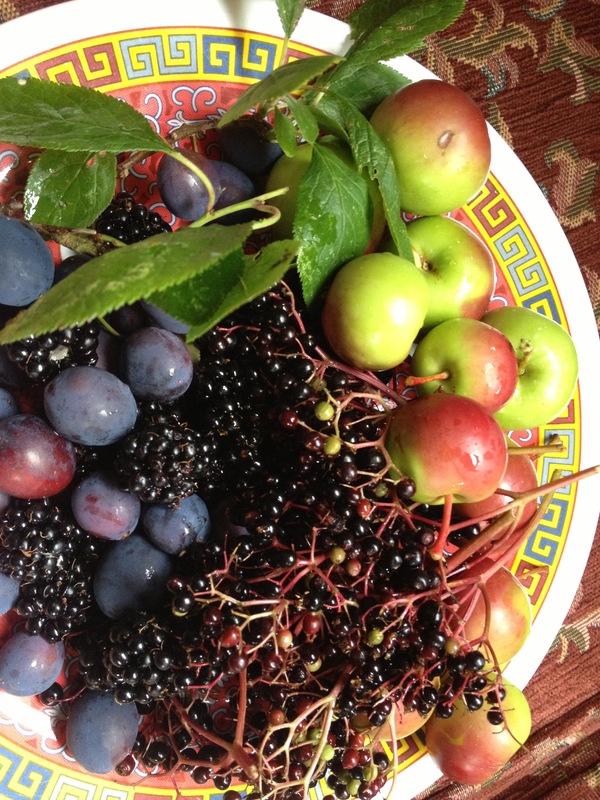 We were on narrowboat Patience for the last few days of our six week trip from Braunston Marina to Cambridgeshire and back when all the hedgerow fruits seemed to ripen. At first I thought it was too late in the trip to be gathering fruit and cooking it what with having to tidy up and sort out the boat, pack and devote hours each day to work but it seemed churlish to ignore the delights of the river bank so I started picking fruit each time I operated one of the string of locks along that stretch of the river. A quick google search turned up the perfect hedgerow jelly recipe by Hugh Fearnley Whittingstall on The Guardian website. Thank you to Hugh – the recipe really was perfect! I’m just sorry I didn’t pick any haws or rowan berries. I think they were ripe but I didn’t know they were edible. Next time…. I had neither sugar, a scale nor a jelly bag on the boat but some guesswork took care of the weighing problem and a pair of ugly brown pantihose turned into a serviceable jelly bag. 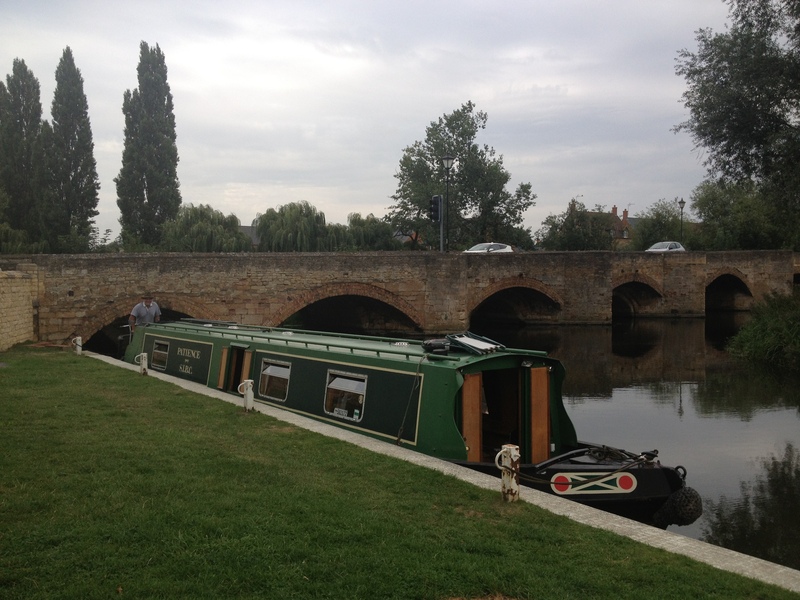 And we moored in Northampton that night so I could dash to the nearby supermarket for the sugar. The jelly was so delicious eaten with cheese and oat cakes and I just can’t wait to be back on the boat in late August again.